Outdoor portrait photography is challengeable for photographers. In this article I’ve gathered 15 basic outdoor portrait photography tips to prepare your outdoor portrait shoot. Would you like to know the secret of how to take amazing outside portraits? I have prepared 15 tips to make your work easier. You will learn how to use daylight as the main source of lighting during the outside shooting and many other useful recommendations. Outdoor portrait photography presupposes shooting several people or one person on the street using natural background and lighting. The choice of location for taking outdoor portraits is incredibly diverse. You just have to find the place and conditions that help you focus on your subject and emphasize his/her individuality. With the help of a properly selected environment, you can highlight the character or feelings of the model. It is worth noting that the chosen shooting location does not always have to be associated with this person. You can choose a completely contrasting environment to get cool outside portraits. No less interesting are the pictures taken at the place where the person lives. Find some basic portrait photography set-ups that can be useful when you take photos professionally for the first time. Each recipe has specific camera settings, lighting, poses, and some useful recommendations from professional photographers. Be ready as outdoor shooting depends on changes in weather, lighting, surrounding noises, etc. Leaving the studio, you can lose your sense of control over the background and sometimes you will have to make the necessary changes immediately. To get a stunning outdoor portrait, you must choose the right time for a photo session, thus minimizing the chances to get harsh shadows on your model’s face. “Golden hour”. The first few hours after sunrise or a couple of hours until it sets are considered to be the most favorable time for taking photographs. To get perfect outdoor portrait photography lighting and to avoid the contrasting shadows, you must set up photo shoot 1-2 hours after the sun rises or 2-3 hours before the sunset. Thus you can photograph your subject in the best possible way. Twilight. You can take beautiful portrait pictures by capturing your model in a fabulous twilight atmosphere. Take a few pictures for half an hour before sunrise or 30-40 after sunset. The blue color will predominate in such light but the warm glare of the rising or setting sun will undoubtedly beautify your photo. Since you may experience a lack of light when shooting at dusk, I recommend using long exposures to compensate it. Midday Light. Undoubtedly, twilight, sunset, and dawn have their advantages and are the most favorable time for the outside photoshoot. However, the middle of the day can also be considered as a great option to realize your ideas. It is important to remember that this period has a number of disadvantages such as harsh and colorless light. In most cases, it can only spoil the photo. Although sometimes the noonday light is what you need. Clouds. The soft light you get on a gloomy cloudy day can be successfully used for outdoor portrait photography. In such conditions, you have the opportunity to get a natural rounded look. Of course, this light is quite difficult to manage. Nevertheless, if you still take pictures on a cloudy day, you have a chance to get the perfect silver atmosphere in your photos. To achieve a great result, you should familiarize yourself with outdoor portrait photography tips and learn more about the specific settings for such conditions. Improper positioning of the camera or wrongly chosen angle can spoil your photo session. Get inspired by the works of famous portrait photographers. See the way they take photos outdoors. You can benefit from bright colorful autumn leaves, delicate winter snowflakes, first spring flowers, blooming green buds, and warm summer sunlight. Each season offers you a wonderful choice of things that will help you realize your outdoor photoshoot ideas. Fall. This season will add some kind of warmth to your photos. Yellow, red, orange foliage looks great in the pictures. Spring is the season of primness and freshness. It is deceptively good, delicate and tender to touch. Summer is an incredible riot of colors, greenery, amazing sun, walks in the woods or along the river. All this is great for outdoor portrait photography. Winter is an opportunity to capture the snow and come up with a fabulous story that will be hidden behind a photo session. At this time of the year, experiments with images and props work the best. When setting the autofocus, you must avoid using all available focus points. In the case of portrait outdoor photography, it can cause terrible results. This function provides finding the nearest objects to the lens and focusing the camera on them. If it comes across a group of focus points, then it selects the best option by averaging the distance between them. Choosing one focus point will give you more control and provides better quality. To take a really cool portrait you should pay special attention to the model’s eyes. As they are one of the sharpest parts of the face, focus the camera on them. According to one of the important photography tips for outdoors, you should use a wide aperture while taking portraits. It will help not only focus on the eyes but also get a softer-looking skin thanks to the bokeh of the lens. If you shoot RAW, you get wide opportunities for further photo editing. Such files are actually your digital negatives, which contains almost all the information from your camera. If you choose the JPG format, you will not be able to get all the necessary data. In addition, while editing the picture, you will lose some information. Besides, photo retouching of JPG files is a more complicated and time-consuming process. So trying to fix an incorrectly adjusted white balance in a JPG photo, you can practically destroy the original image without getting the desired result. If the photo was taken in the RAW format, you can quickly cope with this problem. Send your outdoor portrait photos to FixThePhoto service to make professional color correction and portrait retouching for about $5 per photo. Use this bokeh overlay for adding magical lights on your background. Change the bokeh’s color according to the lights you have. 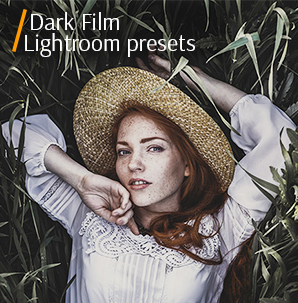 This preset will add contrast to your photos and fill them with the warm glow of a summer day. 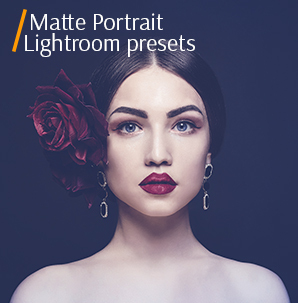 Perfect preset for female portrait photos with a predominance of one shade. Makes you photos moody and bright. Do you want to achieve the effect of rich and vibrant skin? Use this free Photoshop action and get desired effect in one click. This free action is perfect if you want to get the perfect effect of healthy skin. Make basic skin editing in several clicks. Sometimes you just need to add volume to hair or few extra strands. For such purposes, you can download our free brush. 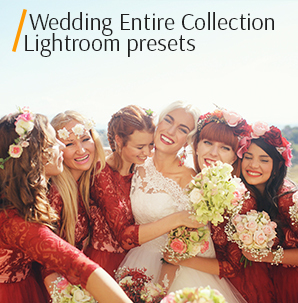 Excellent brush for Lightroom, which will help you get rid of the yellowness of teeth in the photo. The eyes are one of the most important parts of all outdoor portrait, which is why we offer you to download a free action that will make the model's eyes shine. Use this free action for Photoshop to achieve the incredible effect of snow-white teeth and a Hollywood smile. Direct sunlight can give you a lot of trouble if you are engaged in outside photography. It is too sharp, often violates the white balance, causes hard shadows, and distorts the object. Therefore, shooting in the shade is exactly what you need in this case. Smooth soft shadows derived from the natural features of your subject will not spoil the image at all. Choose the right white balance and exposure settings and you’ll get beautiful portraits. To achieve the desired results, you must learn to control the lighting. One of the inexpensive tools that you can use for these purposes is the reflector. Outdoor portrait photography can be significantly improved with this element. As a rule, manufacturers supply reflectors in several color options that you can use according to your ideas and lighting conditions. As stated in the tips for taking outdoor photos, using the white surface of the reflector you get a neutral color which is a kind of fill light. The golden one will add a bit of golden effect to the model's figure. To simplify the shooting process, you can purchase stands and place the reflectors on them in advance. Another option is to work with an assistant. This 43-inches reflector is available in 5 variations. Its foldable multi-disk design can be used in silver, black, gold, white or transparent colors. Having natural light around, the idea to use a flash, which is an artificial light source, may seem strange. Still, specialists engaged in outdoor portrait photography know how advantageous this decision is. Taking outside portraits, you inevitable get shadows (even minor ones) on the model’s face or figure. Using a flash, you can avoid this problem in a quick way. Actually, a flash serves as a fill light for the pockets of the shot, which are covered with dark points. You may experiment a little and combine an external flash with several reflectors to achieve 100% effect. So, you’ll evenly distribute the light across the frame, thus getting a perfect photo. If you often work in poor lighting conditions, but strive to get flawless outdoor portraits, you may greatly enhance the process with Canon 430EX III-RT EOS Speedlite. Being quite versatile and equipped with a number of interesting functions, this flash is easy to operate even for newbies. Use this radio-controlled speed light from Nikon brand. It can boast of advanced features that are important for portrait photography. To get great backlight, you need to regulate the exposure. The thing is that built-in camera exposure meter may mistakenly read the light behind the model. Thus, your subject will be in shadow. Your task is to set the exposure correctly when the light falls on the person’s face. It can be done with the camera metering features or manually with a light meter. If you aim at getting 3D effect, you’ll need to add fill-in flash to get a backlight. Besides, add 2 light sources to model the person and balance lighting. It is recommended to choose the models with a fixed focal length. Most often, photographers opt for 50mm lenses. Though, the 85mm version is also a good alternative. To obtain the desired depth of field, effective framing, and beautiful composition, you need lenses with a fixed focal length. Thanks to the low f-stop capability, this lens gives you the opportunity to get a soft bokeh which is so important for every portrait photographer. View more about the best cameras for portraits that take amazing photos outdoors that are sharp and clear. Zoom-lenses and wide-angle models are not suitable for such photos. Working with them you may have difficulty with the distortion of your object. It is best to use special portrait-oriented models that can give you a proportional and high-quality image. Thanks to this lens from Canon you have the opportunity to take incredible clear pictures. Even using the maximum aperture, you get only a bit of flare. A lightweight lens with a bright maximum aperture is one of the best for this style of photography. This is a classic model of normal length will appeal to many photographers. Even creative portrait photography doesn’t require expensive accessories. You can simply take the things stored in the attic or basement, which you remember about only redecorating your house. For instance, it may be an old cheap thread count sheet or satin one-color curtains. Don’t have any? Visit the local store and buy the cheapest white sheet you can find. It is a great, budgetary diffuser that even beginners can afford. White sheets will also help soften the natural light, which causes deep shadows. You need to tie the edge of the sheet to the clothes line or a tree branch and clamp for the side light. To eliminate any movement, attach stones to the bottom corners of the sheet. To get the overhead light, you need to fix the corner to anything above the model. Props play an important role, as they can greatly diversify the composition and make it more interesting. There is a great variety of props you can use for an outside photoshoot, but opt for things that thematically match the shooting and help to convey certain emotions and feelings. Being of different colors, shapes, sizes, patterns and materials, props help models feel more relaxed. However, you need to be very mindful and concentrate on the model, not the props. Choose them in moderation. Moreover, props can date the photo session, which isn’t always necessary. Looking for creative photography props that are affordable? Check out these DIY photography props you can use for your outdoor shoot. Get creative when you choose poses for an outdoor photo session. Either you take individual or group shots, you need to prepare something non-trivial to amuse and please your clients. Have a look at the following outdoor portrait photography poses to choose something to your taste. Check out my full list of all winning portrait photography poses for men, women, children, couples, and families. One of the classic outdoor portrait poses, which attracts with grace and informality. The woman can behave naturally, slightly gazing over the shoulder. What can be simpler? It looks so intriguing, as you can see only a little bit of her beautiful profile. This pose helps to emphasize gentle proportions, neck and jaw. This is a very interesting portrait outdoor trick. Ladies like it very much, as putting their hands on hips, make their waist look slimmer. Having chosen the suitable outfit, you may pose your model this way to express feminine power and confidence. This is one of the easiest but powerful poses. The main accent is kept on the eyes, which have to show some feelings or look thoughtful. Take this into account and prepare your clients. It is also called full frontal face, as all the facial features are clearly visible. You shouldn’t focus solely on the face, and also try outdoor photoshoot ideas involving hands. Such poses look very organic and pretty but don’t require special preparation. You may experiment with hands on the knees, playing with hair, rubbing cheeks, or anything else that you can imagine. Use this pose if you feel that the model is uptight and even shy. She can lean or sit on the surface and pensively gaze into the distance. Take pictures from different angles, while the model is changing focal points. Some people think that it is similar to walking, but men do it in a specific way. It is quite a natural pose, so your model will feel at ease and can demonstrate emotions you want to see. Men can greatly work with this pose, bringing a personal touch. Specializing in outdoor portrait photography, you can choose any location for the shooting, thus experimenting with diverse poses. This one implies that a man is sitting down or standing up with one leg up. It looks also great if the model is leaning against the vertical surface. But t should be decided in every individual case. Want to show a model’s constitution? This is a great way to do it. Find a wall or a tree and ask your client to lean against it. In such a way, you may accentuate contrast lines and achieve a non-parallel effect. This is surely the first outdoor portrait photography pose you think about, when you recall actors from action movies. Your model will look very powerful or even a little bit fierce posing with an arched arm. Pay attention to the facial expression and the eyes to get the consistent image. Every portrait photographer truly loves this pose as it helps to show style and confidence each man can show. It would be better if your model found a distant focus point instead of looking directly at the camera. Working with couples, you have to be very attentive and control both partners. You can ask them to lie down in the grass and look at each other. Take care that they should wear clothes of any color but not green. It is also interesting if they pose with their eyes closed or keeping their hands together. Love is greatly about kissing and hugging. That’s why you should try the forehead kiss pose while taking couple portrait pictures. It is so sweet to see a woman sincerely smiling while her beloved partner is kissing her on the forehead. It will help you set the models in the right mood to take many other beautiful shots. Outdoor portrait photography enables you to involve more space in the photo. Thus, you can photograph the couple walking towards you or capture them going into the distance. Both variants have a peculiar charm and help you take dynamic images. It is so charming to see a loving couple dreamingly gazing into each other’s eyes. They tend to smile and tightly hold their hands, and you need to capture these genuine emotions. Why not add big props for outdoor portrait photography? It will be very interesting to use a car with a couple sitting in it or posing near it. You may try vintage models to create a certain atmosphere. This may be a great beginning of your outdoor family photo session. Ask the parent to hold their kid’s hands and walk towards you speaking about something, like there is nobody around. You will be able to take very realistic shots. If you want to get even more creative results, advise your clients to wear similar T-shirts. This is one of the best family photography poses, as you may relax models and make them feel comfortable in front of the camera. Take several pictures from different angles, kneeling down to be at the eye level with both parents and kids. They may face the camera or pretend that they have a picnic. Just remember to keep everything natural. Make parents reach the kid’s eye level. Thus you can show that these people are united by family ties and love each other. The composition looks more balanced and has a deeper meaning. It is always interesting to add some motion to family outdoor portrait photography. They may play a game, jump or run, while you are taking lively shots. Any location will be good, but a forest or a park will become the best option. Only parents can decide if you should try this pose. In case the baby is accustomed to this activity at home, you won’t have any problems at shooting. But if parents have never tried this before, you’d better don’t risk. Every photographer knows that practice makes perfect. This is applicable to outdoor portrait photography as well. So take your camera, follow above-mentioned outdoor photo tips and enjoy the shooting process!